Draft: 1998, Chicago White Sox, Cth rd. March 29, 2012 Miami Marlins released CF Aaron Rowand. December 12, 2011 Miami Marlins signed free agent CF Aaron Rowand to a minor league contract and invited him to spring training. September 8, 2011 San Francisco Giants released CF Aaron Rowand. August 31, 2011 San Francisco Giants designated CF Aaron Rowand for assignment. May 2, 2010 San Francisco Giants activated CF Aaron Rowand from the 15-day disabled list. 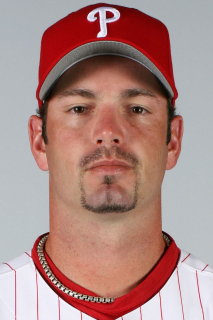 October 30, 2007 CF Aaron Rowand assigned to San Francisco Giants. October 30, 2007 Aaron Rowand assigned to San Francisco Giants.